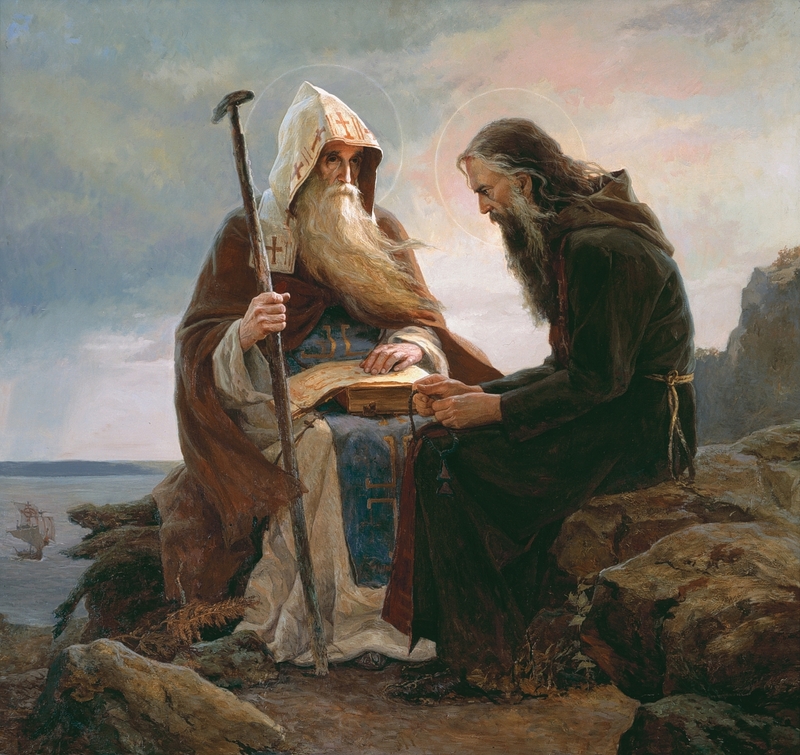 The painting 'Sts Anthony and Theodosius, founders of Kiev Lavra' was written in 1995. The size of the picture - 28" x 28"
Afonina found her own way of comprehending the world and man in this world - a beautiful portrait. The Moscow artist works in the genre of modern realism, in all her works remains true to the classical painting school. Art for an artist is a way to approach the incomprehensible mystery of being. She believes that God created everything that exists on earth, and man is his most perfect creation. Therefore, it was the portrait from the first years of creativity that became the main genre of painting in which the artist creates. The artist Saida Afonina was born in 1965 in Syzran, a small town in the Samara region located on the Volga. At the age of 20 she graduated from the Syzran art school. The following, in 1986, entered the Penza Art College named. K.A. Savitsky, which she graduated in 1989. In 1996, Saida Afonina became a member of the UNESCO International Federation of Artists. In 2000 she received the academic title of associate professor of painting.